High quality laboratory testing provided in a timely manner is often the key to properly diagnosing and treating patients. Regional West Laboratory Services provides a comprehensive menu of clinical, anatomic, and cytologic testing services to support your medical decisions. 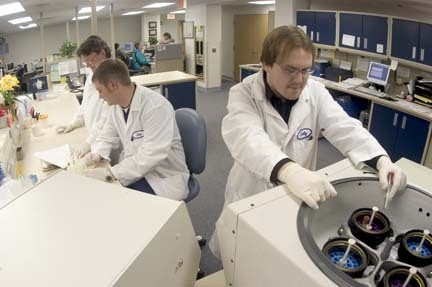 Our team of highly trained and experienced pathologists, technologists and other laboratory professionals are committed to providing the region's highest quality testing services quickly, conveniently and in a cost-effective manner. To assist in meeting the needs of your patients, pathologists are available 24-hours a day, seven days a week for consultation. We have outreach locations in four states. Our mission is to serve you. If the answer you're looking for isn't found on this website, please don't hesitate to contact us.